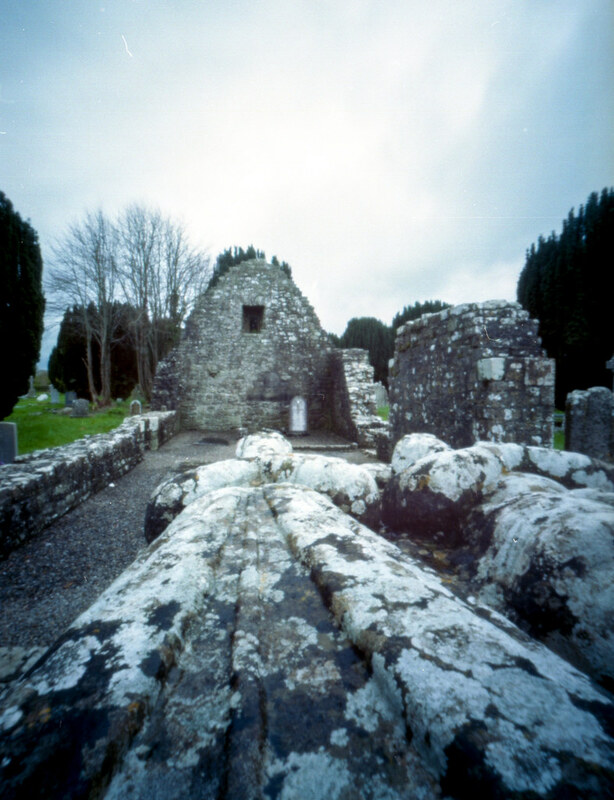 This past April I had the great pleasure of hanging out with fellow Pinhole Obscura author, Aware Of The Void, in Ireland. He and his wife showed us some of the sights featured on this blog and it was awesome. At one of these places is a tomb called “The Jealous Man And Woman.” It is located across the river from the Priory of St. John The Baptist. The figures of a man and a woman are laying side by side and a sword separates them. I found myself completely fascinated by this tomb. With a name like that, there had to be an amazing story. This is the tomb of a lord and lady: Sir Lucas Dillon and Lady Jane Bathe. According to Google, Lady Jane had an affair before she died. Sir Lucas went on to marry another woman and have several children with her. However, when he finally died and was buried he was buried next to his first wife, and he had a sword placed between the two of them, signifying separation forever. The weirdest thing about this place is that it is known to have curative powers over warts! Apparently if you prick your wart with a pin and place the pin in the rainwater on the tomb it heals your affliction. This whole area was magical and so very cool. I really enjoyed wandering around. Here are some iPhone snaps of the tomb, so you can get a different (maybe better) view.